Dorade Royale (Sparus aurata) | Better Know a Fish! Sparus aurata is truly a classic fish. 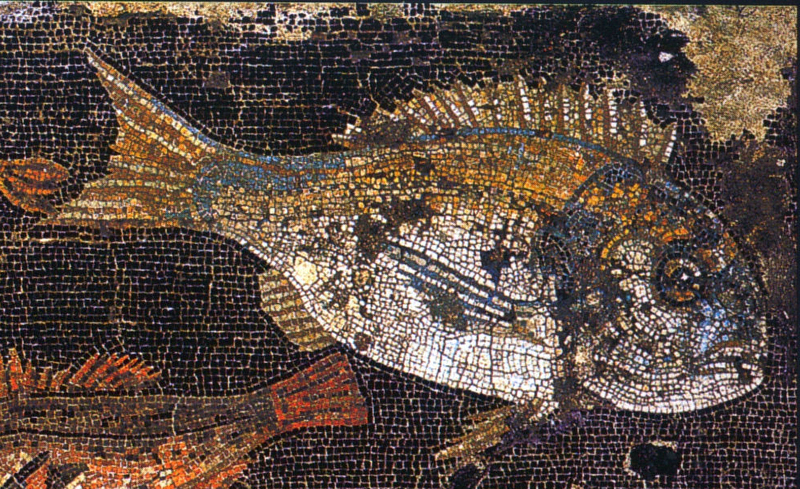 Here was a fish prized in French and Italian cuisines and has been a part of Mediterranean culture since at least the Roman times — yet having lived mostly in East Asia and North America, this was my first exposure to it. I first saw dorade royale for sale a few weeks ago at my local fishmonger, Sunh Fish Company, but it was not until this week that I had a chance to take one home. When I asked, the store staff told me they had been ordering dorade as an experiment to see if there was interest in our local area. They told me the fish came from Cyprus. A quick jaunt on Google revealed a New York Times article from 1997 on the dorade royale‘s newfound attention from New York City chefs. Other sources online even claimed that dorade royale was sacred to the Greek goddess of love, Aphrodite (Shaw and Shaw 2000). 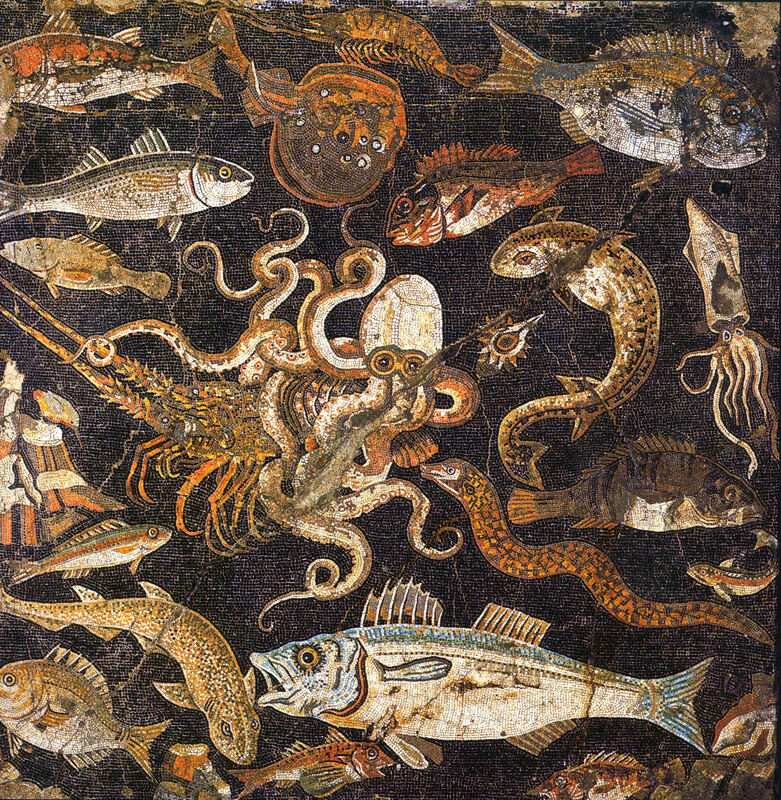 From ancient Roman mosaics to Greek gods to gargantuan aquaculture operations, the little fish in my hands suddenly felt very big. To honor its Mediterranean heritage, I decided to bake my dorade royale whole, with familiar herbs and spices — rosemary, thyme, garlic, salt and black pepper, and a coat of olive oil. The result was a revelation. My tongue first met a burst of flavor and texture from the crisp, fatty skin of the dorade, which paired perfectly with the deliciously sweet, juicy white flesh attached. It was wave upon wave of dazzling sensations, all from a single morsel. Good enough for Greek gods, good enough for me. Shaw, JW, MC Shaw. 2000. Kommos: an excavation on the south coast of Crete volume IV: the Greek sanctuary. Princeton: Princeton University Press. 1333p. Addendum: I’ve edited the post to correct that Aphrodite was the Greek goddess of love, not Roman. Her Roman equivalent is named Venus. 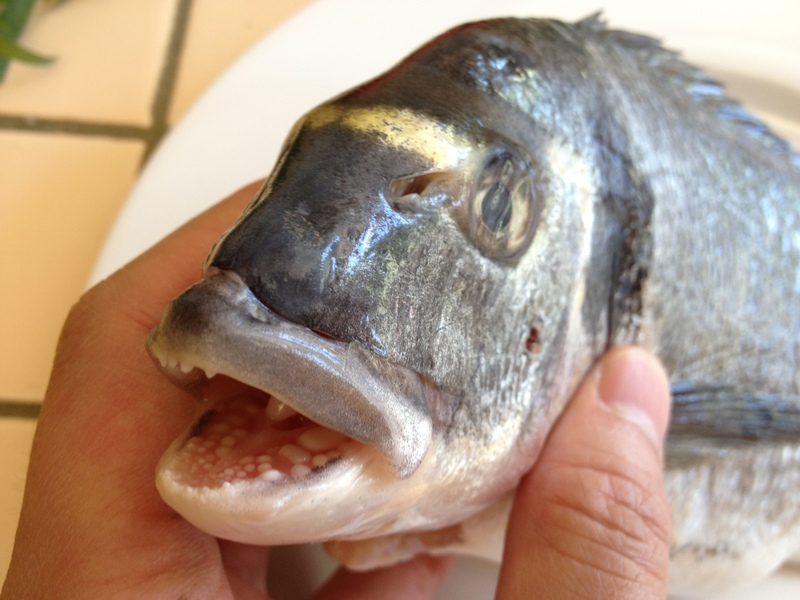 This entry was posted in Actinopterygii, Marine Fish, Perciformes and tagged aquaculture, Atlantic Ocean, aurata, daurade, dorade royale, foodfish, gilt-head bream, gilt-head sea bream, gilthead bream, Mediterranean, Mediterranean sea bream, orata, porgies, Sacramento, Sparidae, Sparus, Sparus aurata, Sunh Fish Company. Bookmark the permalink. 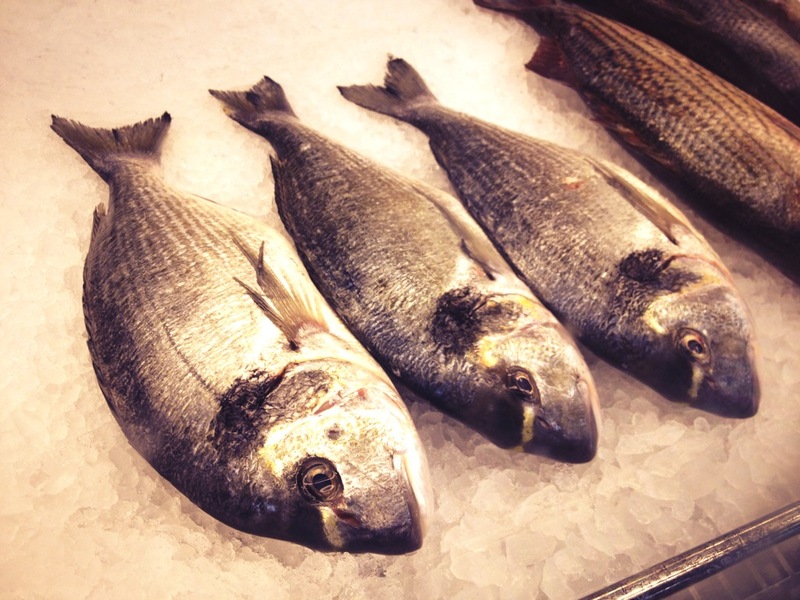 Pingback: Pinfish (Lagodon rhomboides) | Better Know a Fish! 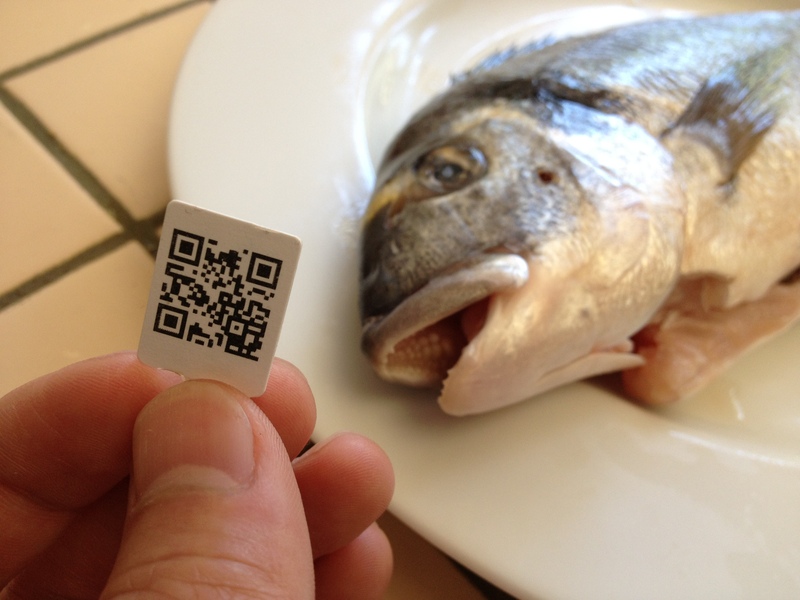 A fabulous, interesting, little nugget of food information that’s sure to get me soon hunting down this remarkable looking fish. The author’s vivid description of the flavor makes the mouth water! Thank you so much for reading, Nora. 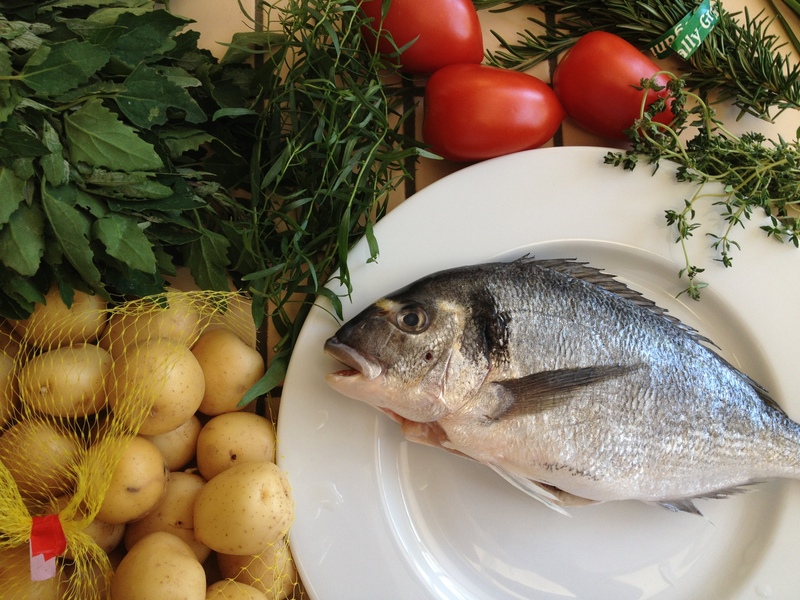 Hope you find a dorade to put on your plate soon, to share in the experience! 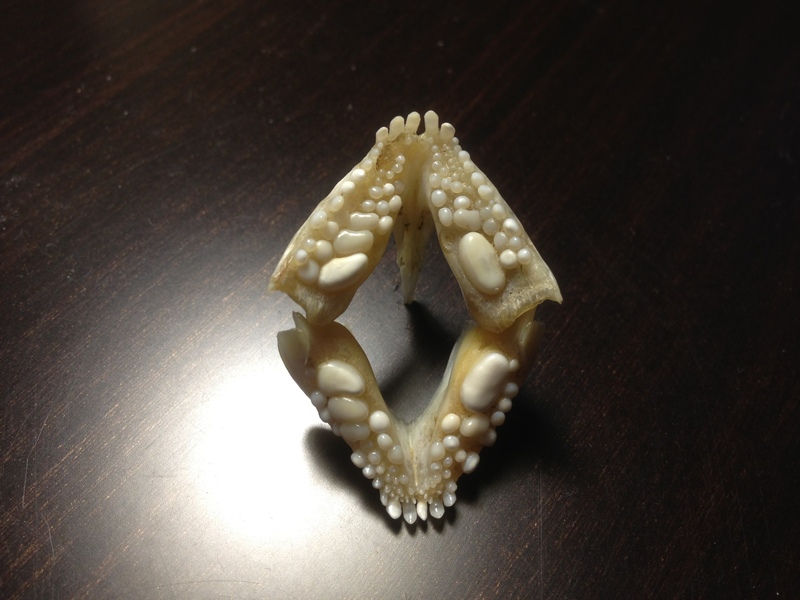 Very interesting picture of the jaws. I have seen two types of dentition in Sparus aurata , one with progressively larger molars, and one with a large molar isolated. 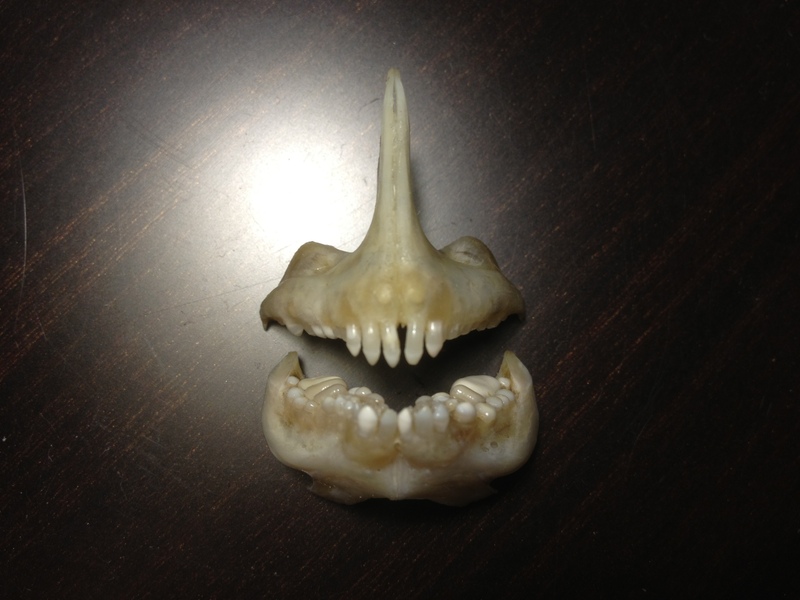 Your specimen presented each morphotype on one side of the mouth. Very curious. Thanks for writing, Antonio. The asymmetry is interesting, isn’t it? I wonder if this is a random pattern, or if it develops out of individual feeding preference, or genetically determined. Hi Ben, great blog! I was just wondering if you would mind me using some of your pictures? I am conducting some research into gilthead bream and need to make some flyers. Hi Jen, thanks for the kind words! Send me an email and tell me more about your research!